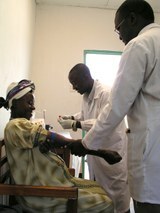 The Lancet HIV - "Health care for people living with HIV has improved substantially in the past two decades. Robust estimates of how these improvements have affected prognosis and life expectancy are of utmost importance to patients, clinicians, and health-care planners. We examined changes in 3 year survival and life expectancy of patients starting combination antiretroviral therapy (ART) between 1996 and 2013.